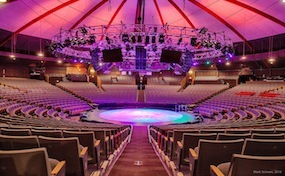 While box office will focus on concerts, other non-musical events will be hosted at the Westbury Theatre, such as comedians, non-profit and charitable events, family entertainment shows, and events hosted by the city and people of New York, and the surrounding area. NYCB.Westbury-Theatre.com is not currently affiliated or sponsored by any official website, venue, or supplier. We are an independently owned and operated company that operates solely in the resale ticket market. Prices on our sites may be well above or below face value and will change quickly with demand.